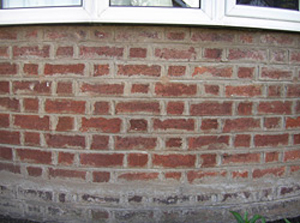 Pointing is the process of replacing deteriorated mortar in the joints of a masonry wall with new mortar. 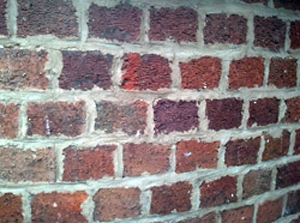 Older properties pre-1940's will have to use a NHL 3.5 lime mortar after that normally a blend or gauged mortar which has sand cement and lime in the mix. 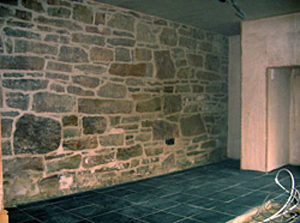 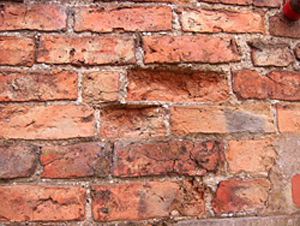 If your property has disintegrating mortar, cracks in mortar joints, loose bricks or stones, damp walls or damaged plasterwork then you need repointing. 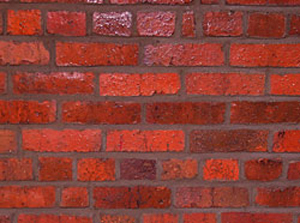 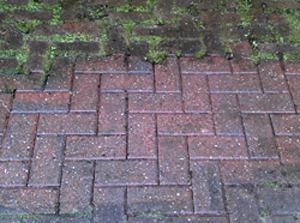 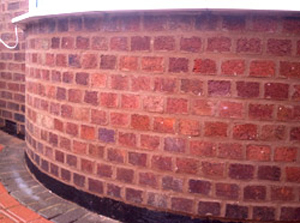 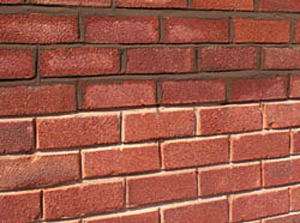 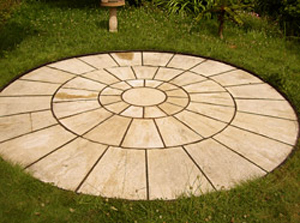 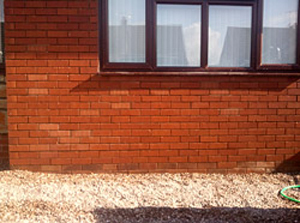 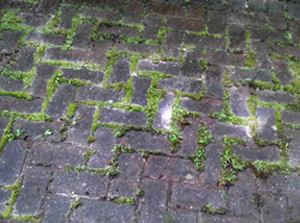 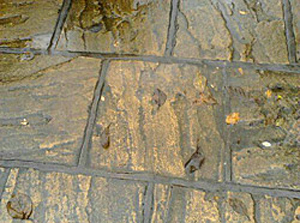 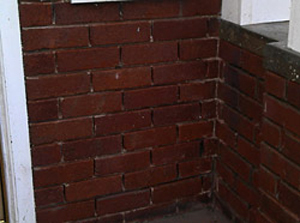 Our services include: External and Internal Pointing and Repointing, Acid Washing, Block Paving/Patio Cleaning, Brick Stain Removal, Brick Replacement, Ivy Removal from Brick or Stonework, Brickwork Correction and Replacement, Repairs to brickwork and walls plus Smoke Damage Removal from Brickwork and Pointing. 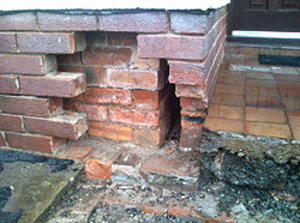 Please see examples of repair and replacement below. 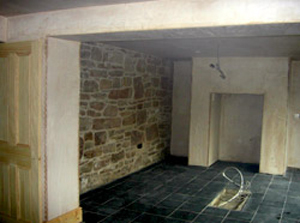 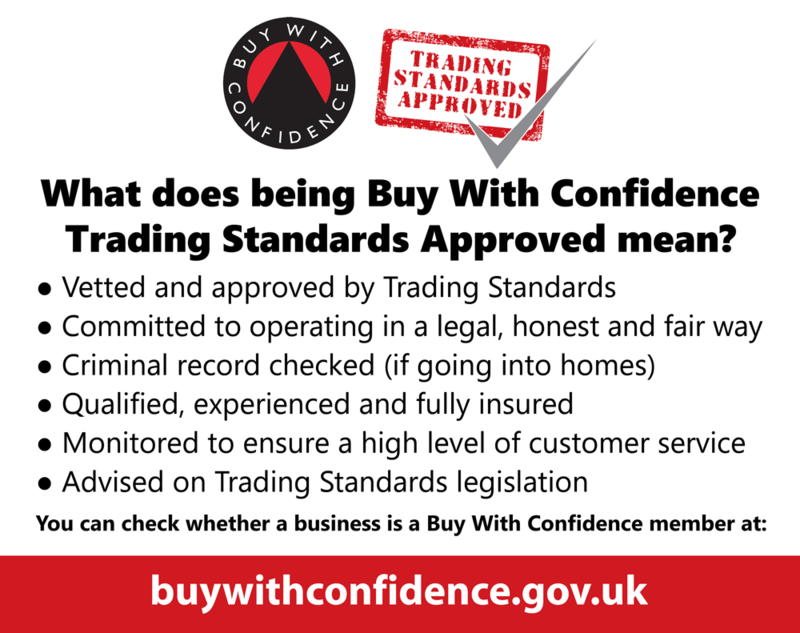 GMT Pointing is the first pointing specialist in North Wales to be approved by Trading Standards. 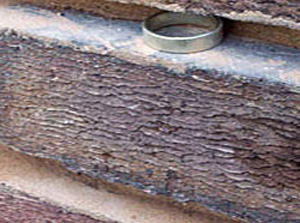 We grind to remove old mortar using diamond disk (not resin) to a depth of twice the width, often using 6.5mm thick mortar raking disks. 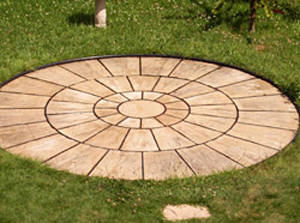 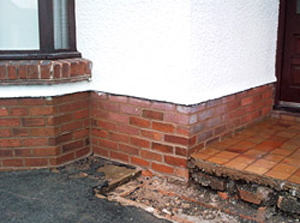 If it has not been raked out deep enough then it will fail and need to be redone. 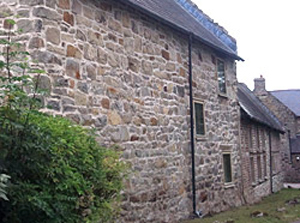 Repointing will be carried out by dampening the walls first and repointing with a measured mix from the top of the building working down. 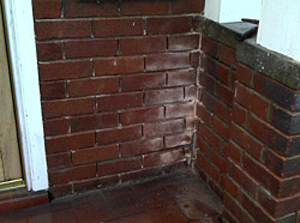 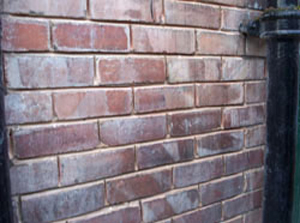 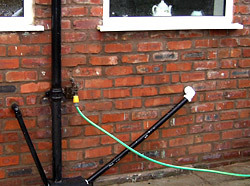 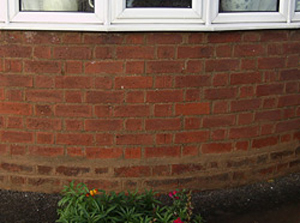 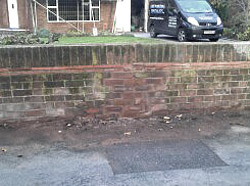 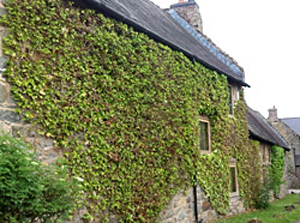 This process is used to clean up poor repointing (as image below). 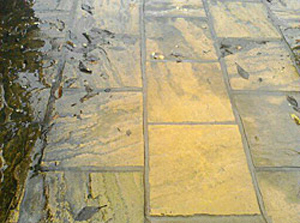 The finished result is much more visually appealing. 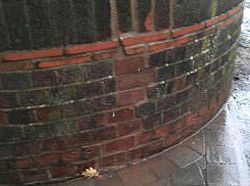 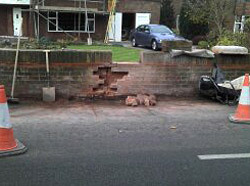 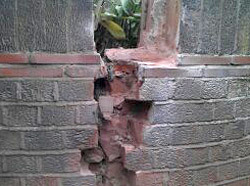 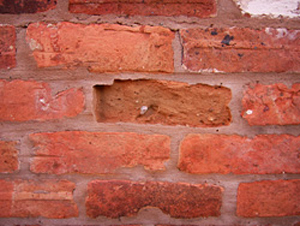 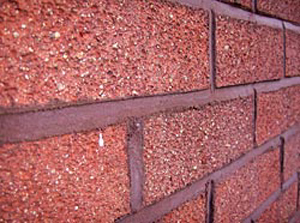 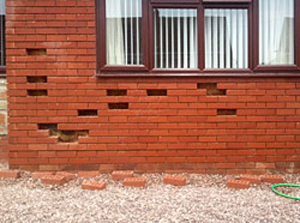 Incorrect strength of pointing mix is damaging to brickwork and costly to repair. 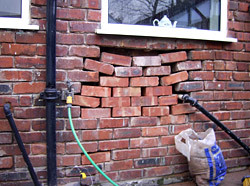 The damage as seen below can happen in as short a time period as 2 years. 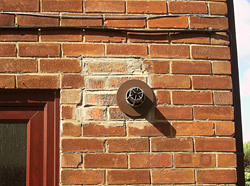 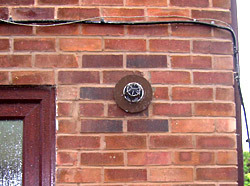 This can be avoided by commissioning an expert pointing specialist.